We have some new concept art from The Predator and there’s no two ways about it; this is some weird stuff. The long-awaited return of the sci-fi franchise arrived with something of a light thud earlier this year. While some fans enjoyed what thrills the movie had to offer, it didn’t quite live up to the expectations many had for it. What we know for sure is that the movie went through a lengthy development process and, during that process, things changed quite a bit. 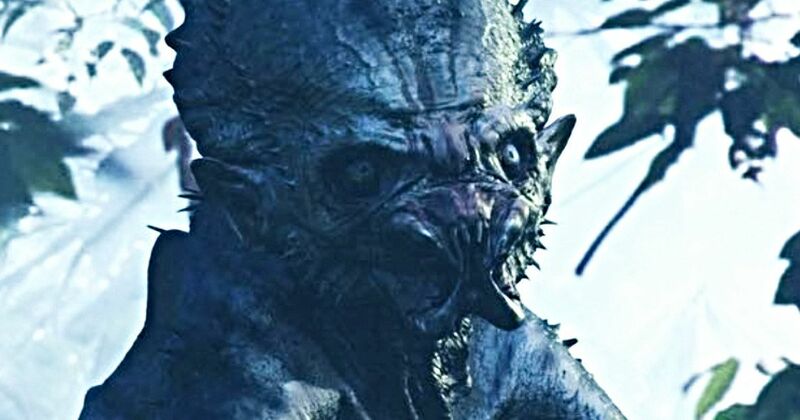 Like, for example, we didn’t get to see these bizarre Predator/monkey hybrid creatures. These strange beasts were revealed recently by concept artist Constantine Sekeris, who spent some time working on The Predator in the relatively early stages of the process. Director Shane Black and the production designer, Martin Whist, had an idea to craft a hybrid creature that would bond Predator DNA with that of a monkey. The results are nuts, to say the least, based on the several photos shared by Sekeris. Here’s what he had to say about the process that went into crafting the creatures. The creatures themselves look like they hopped right out of a hideous nightmare. They are depicted with four arms and two legs, with a dangerous looking tail and bulbous head, with the mouth of Predator. They’re grey-skinned monsters with red accents here and there that would have, brought to life, been assuredly terrifying. As it is, The Predator deals quite a bit with the idea of these aliens trying to upgrade themselves with the DNA of other creatures. These horrifying things could have been part of those experiments. Unfortunately (or maybe fortunately) they didn’t make the cut. Not for nothing, but it also looks like these would have been kind of expensive to bring to life. And the movie already blew a good chunk of change on those Predator hounds. As far as Fox is concerned, that may not have been money well spent, as The Predator made just $160 million worldwide working from a reported $88 million budget. That’s not exactly the franchise kickstarter they were hoping for. So there’s little hope of seeing these Predator monkeys revived in a sequel. Be sure to check out the newly revealed concept art from Constantine Sekeris’ Instagram below.